I try not to make too much out of reports without sources so let’s just call this one a rumor. However, a report claims that numerous sources close to Brock Lesnar have revealed that the UFC comeback we have all been waiting for may not happen for the former WWE & UFC champion. A report on MMA Corner claims that numerous doctors have recommended to the former champion that he give up his UFC career. According to the report, doctors fear that the stress and training that comes from training and competing may be a little too much for Lesnar following his surgery. For those of you unaware, Lesnar had surgery to remove a 12-inch section of his colon. The surgery was a last resort to cure Lesnar of diverticulitis. Lesnar has not fought since losing the UFC championship to Cain Velasquez, suffering his second MMA defeat in October of last year. Lesnar has only fought twice since July 2009 due to his struggles with the disease. 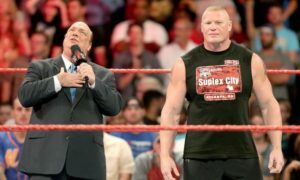 The news would be a lot more plausible if it didn’t come a week or so after Lesnar released a video on the Internet proclaiming that he was back. 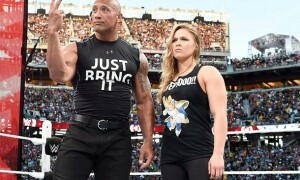 Some have argued that the video may have been some kind of promotional piece rather than Lesnar actually stating that he was returning. 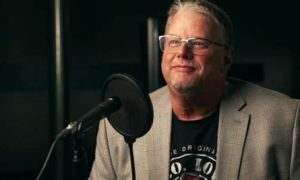 MMA reporter Dave Meltzer recently revealed on a F4Wonline.com that Brock hasn’t started training since the surgery. Melzter also reported that Lesnar has taken a self imposed hiatus from everyone and everything until September. I was hesitant to even blog on this because there is no actually source quoted in the story. Maybe the writer has a source in the camp but that isn’t clear either. The problem with blogging and as a blogger I try very hard to differentiate the two, is that some bloggers will either have an opinion or hear something on a random message board and post it as fact. Now I am not saying that is the case because I don’t know anything about this blogger, but this all should be taken as rumor in my opinion. I mean how hard is it to say that Brock Lesnar may not fight again? You have a 50/50 shot again of being right. But, it is a big enough story that other reputable websites have picked up on it so I thought I would throw it on here and join the party. It is funny to me that I keep hearing Lesnar’s name thrown around as a potential UFC on Fox special main-event, when according to Meltzer he hasn’t even started training. I would guess that if we were going to see Lesnar fight again that it wouldn’t be until early 2012 or even as far out as the second quarter. My gut instinct is that whether this report is right or wrong, Lesnar gives it a shot. Lesnar is obviously a guy that loves a challenge. Maybe he uses this as motivation? I think it is far too early to say one way or the other whether he is back. I think he gives it a shot with a training camp and takes it from there. I wouldn’t be shocked at all to see something announced regarding a Lesnar fight in the future only to have it canceled once again if Lesnar goes through a camp and faces the reality that his body just can’t hack it anymore. The loss of Lesnar would be a huge blow to the UFC, absolutely huge. Lesnar was the biggest draw for the UFC, so right there the UFC is losing their number one draw. Business is down for the UFC this year across the board. Meltzer is reporting that early information has UFC 134 doing a lower buyrate than UFC 133! Television ratings aren’t what they were but oh yeah, they are on Fox now. Everything should be better right? The pressure will be on the UFC to deliver their end of the $90 million deal. Potentially losing your biggest star forever probably isn’t a good start. A final point on Lesnar. 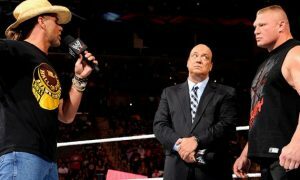 The immediate reaction by most readers will likely be, “Well he can now go back to the WWE.” I am not so sure about that. Pro wrestling is certainly not the same kind of stress to the body as training and fighting in the UFC, but it isn’t ballet. Could Lesnar do one or two matches a year? Maybe. But he certainly wouldn’t be going on the road 300 days a year as a full time professional wrestler risking his health and well being if he can’t fight twice a year in the UFC and make double the money if not more. As a Brock Lesnar fan I would love for this report to be wrong. I’ll make sure to post the latest updates as they become available.